The flexibility and control of EcoSystem helps to maximize the convenience, cost reduction, and comfort in any office space. 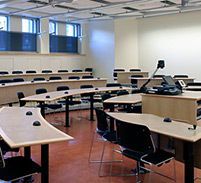 Teachers and professors can easily adjust light levels to support their lessons, while also reducing costs and energy consumption. 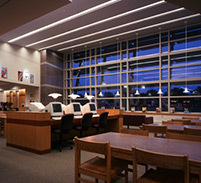 In large, public spaces such as libraries, lighting can account for a significant amount of energy costs. EcoSystem utilizes daylight and electric light to keep costs down, all the while providing appropriate light levels to meet the needs of a library’s varying occupants. 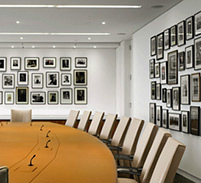 In meeting and conference rooms, EcoSystem offers the flexibility for any agenda, as well as preset light levels to quickly accommodate frequently performed tasks. 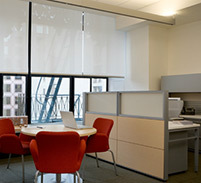 This translates into more productive meetings and financial savings for the company. 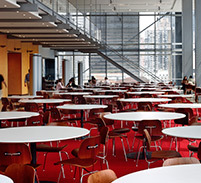 Cafeterias benefit from occupancy sensors, daylight sensors, multiple scenes, and precise tuning to generate energy savings and increase utilization.